Bangor University Brass Band have been offered their biggest gig to date in the form of entertainment at the Welsh National Football Cup Final. 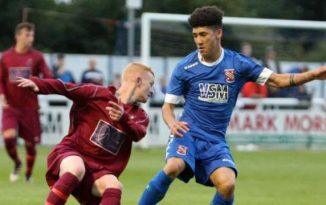 The match, which will take place on Sunday 6th May at Nantporth, the stadium of Bangor FC, is one of the highlights of the Welsh football calendar and is expected to attract around 1,000 people. The match will also be broadcast live on S4C. 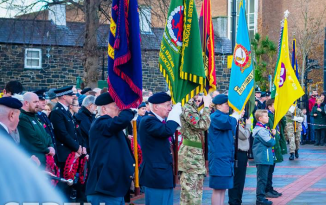 The band are delighted to have been offered this amazing opportunity after a year of heavy community involvement, including the Remembrance Day parade, Christmas caroling around the city and at Penrhyn Castle, and the ever-popular Oompah nights which take place at the Belle Vue pub. “This is a fantastic chance to get our name out there to more people,” said chairman Andrew Shepherd, “This band has come so far from its inception just two and a half years ago, and we hope it will keep going long after its current players have graduated!”. 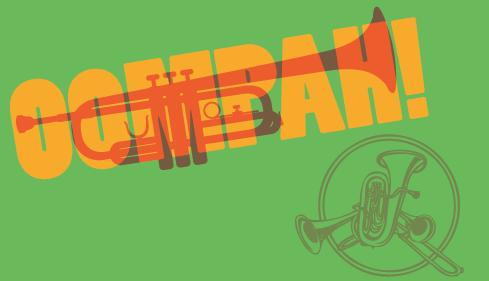 The Brass Band will be preparing for this performance with a one-off Oompah show in Academi on the 24th of April (entry £2.50).